Many people ask whether there is a special diet for arthritis. Continuing research has failed to find any convincing evidence that eating, or avoiding, certain foods will cure or relieve arthritis. A balanced diet, including adequate supplies of all nutrients, promotes overall health and a sense of well-being. 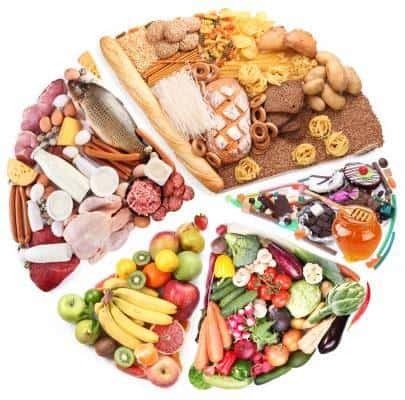 Restricting intake of fats, salt and sugar and eating more foods of plant origin (such as vegetables, grains and fruits) will help you achieve this goal. An adequate calcium intake throughout life will help protect against osteoporosis, which is the cause of many fractures in older people especially women. It is difficult to obtain enough calcium without drinking milk or eating other dairy products. Low fat dairy products are widely available and are preferable to high fat varieties. Eliminating important foods (as in many ‘fad diets’) can lead to deficiencies of certain nutrients. Vitamin and mineral supplements cannot compensate for a poor diet. Nutritionists suggest that if alcohol is taken it should be in moderation. Being overweight leads to increased stress on weight-bearing joints such as the hips, knees and lower spine. It is important for people with arthritis to avoid this extra burden. Because physical activity may be difficult and painful for the person who has arthritis, he or she may exercise less. Unless energy intake (measure in kilojoules) is also restricted somewhat, the unused energy will turn into body fat. It is important to choose food wisely because a person with arthritis has the same requirements as anyone else for vitamins, minerals and other nutrients. Eat foods which give good nutritional value for money, and limit those which contribute ‘empty kilojoules’ such as pastries, cream and soft drinks. Before embarking on a large-scale weight reduction program it is wise to consult your doctor or your dietitian. Many hospitals and community health centres conduct weight reduction programs.